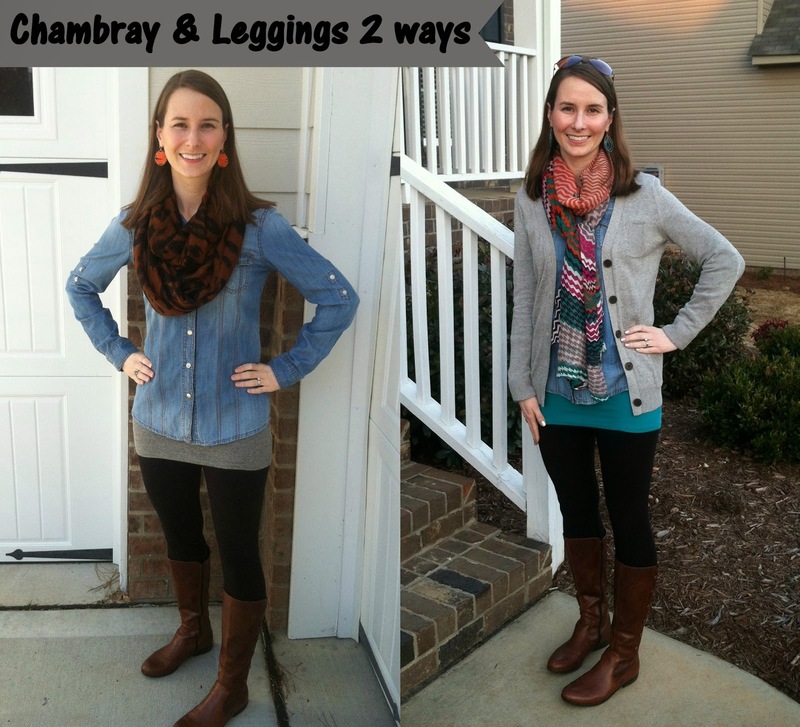 I love wearing chambray with leggings because it is so comfortable and stylish. Of course they look great with boots as you see here but would also be cute with flats or with keds-like shoes for an even more casual look. I wore the first look for a day of running errands and such. The 2nd look is from driving down to Columbia and having a day out shopping and having lunch with my SIL (don't worry it was prior to Lent). As you can see here my chambray tunic top is just long enough to be worn without the tank since I'm short but after discovering these awesome layering tanks from Target a couple months ago, it makes the outfit even more comfy plus can add a pop of color if desired. This combo is perfect for travelling. Love a good chambray shirt! I even bought a sleeveless version last summer because it was sooo hot in Texas but I wanted to have the good old chambray still running through my wardrobe!